Oh nice. 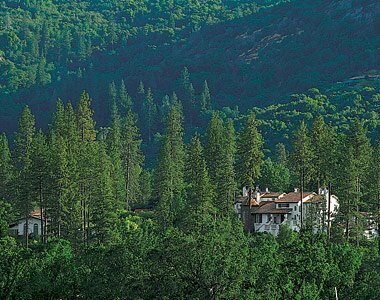 We are staying here when we go to Yosemite... Château du Sureau. It made the Conde Nast Gold List 2009. Fancy! This romantic inn, adjacent to Erna's Elderberry House, is straight out of one of Grimm's fairy tales. From the moment you drive through the wrought-iron gates and up to the enchanting castle, you feel pampered. 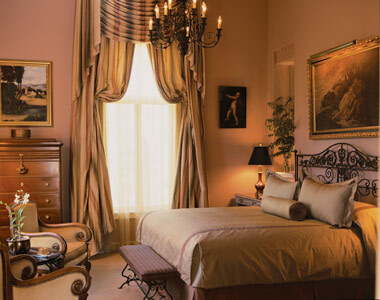 Every room is impeccably styled with European antiques, sumptuous fabrics, fresh-cut flowers, and oversize soaking tubs. Fall asleep by the glow of a crackling fire amid feather-light goose-down pillows and Italian linens, awaken to a hearty European breakfast in the dining room, then relax with a game of chess in the grand salon beneath an exquisite mural – or play chess on the giant board amid tall pine trees off the impeccably landscaped garden trail. Cable TV is available by request only. In 2006 the Château added a stunning spa.